With Shadow Aesthetics, Marc Barreca accomplishes something rare in electronic and ambient musics. Fluid, dynamic changes and movement within pieces; complexities in time and pitch variation and evolution – typically absent from the mostly homogeneous constructs of drone and ambient – all bring previously unavailable depth, shading and emotional charges to a musical form usually admired for its neutrality or criticized for being cold. 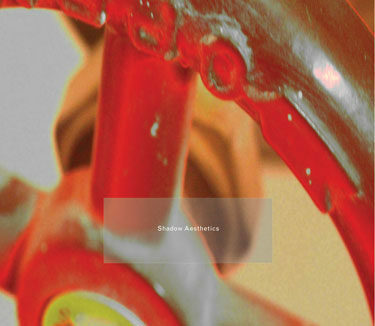 Shadow Aesthetics results from a virtual arsenal of digital and analog sources operating in a complex system of origination, structuring, processing and editing. The result is a moving, articulate and complex album: music that is profoundly emotive, original, and experimental. In every way Shadow Aesthetics reveals itself as a culmination of decades of listening, performing and composing. It manages to drive a form known best for continuously changing over decades into striking new channels of timbre, sound, and meaning. Shadow Aesthetics includes an 8-page booklet and digital download code for the complete album plus two bonus tracks.